Yesterday I hosted a briefing on “R&D Super Tax Cut”and invited government representatives from IRD and ITC to give a detailed presentation on its terms and eligibility. In March, the former Chief Secretary Mrs Anson Chan, Dennis Kwok and I visited the U.S. at the invitation of the White House, to meet with VP Mike Pence, House speaker Nancy Pelosi and etc, to exchange views on “US–HK Policy Act”, the proposed fugitive plan and etc. I'm disappointed at the Budget 2019-20. I would say it's nothing new and lacks commitment to local tech talent. Having challenged the Dragon Back last month, we hiked the High Junk Peak trail this time. A very good exercise during the Chinese New Year, followed by a Cha Chan Tang tea-set and beer as a bonus for everyone. Professional Guild met with Financial Secretary Paul Chan and his team to voice demands and submit proposals regarding the upcoming Budget on behalf of various functional sectors. Hello, I am Charles Mok. 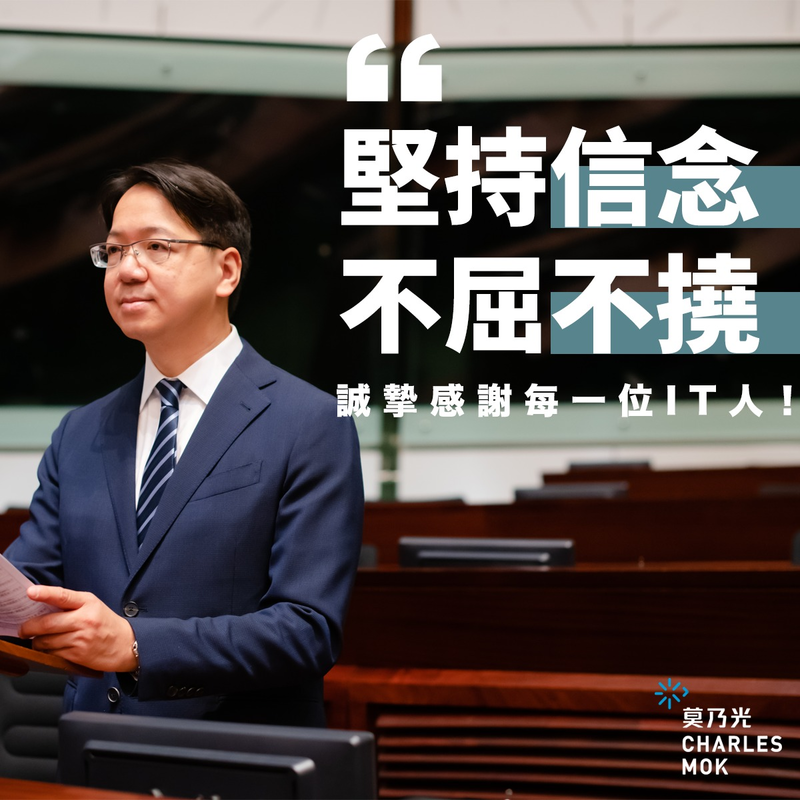 Here you can explore my work in LegCo, latest publications and events.